Short Story written by: Winni Jeisse Franco Villalobos. Once upon a time there was a beautiful girl, pretty and elegant and she had the most beautiful dresses in Flowers World. Her jewels were shiny diamonds, gold and precious stones of stunning colours. Her shoes were beautiful made of pure gold. This pretty lady was a princess who wanted to marry a prince. She found him in Ice-Cream World. He was a handsome and elegant prince who had an ice-cream factory that made every possible colour and flavour of ice-cream and they were all delicious. The prince was called Lionel and his castle was made of colourful chocolate ice-cream. Finally, the princess and the prince got married. Lionel had a horse and a dog and both were happy to live with the princess because she loved animals and was very nice to them. 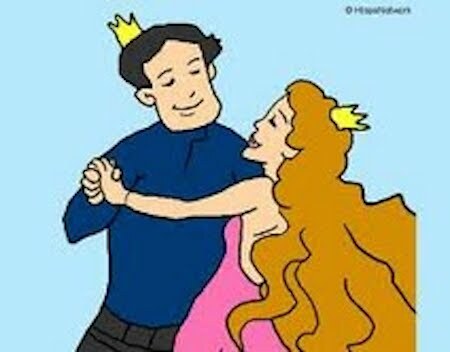 Everybody in the kingdom was happy because the King and Queen were always helping others and were very supportive and understanding.